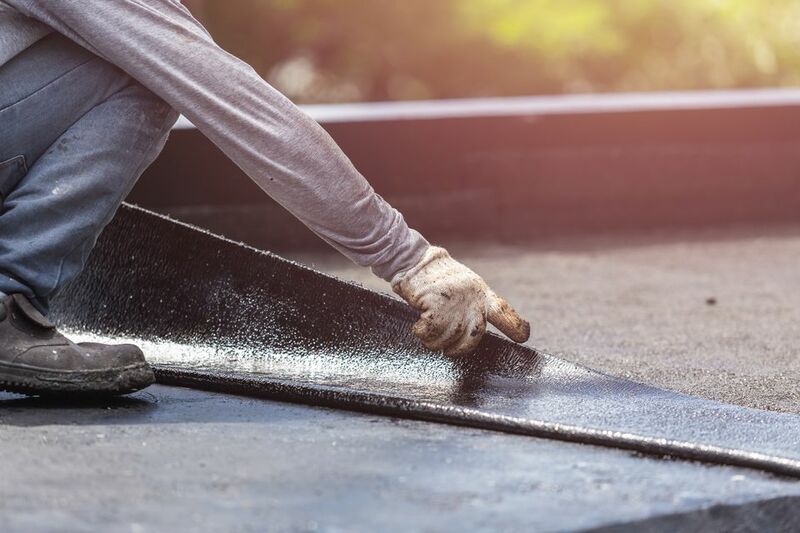 Laying down road or roof tar is hot, sweaty, messy work. Whether you are working with tar yourself or you have an unfortunate run-in with some gooey, gloppy tar that stains your clothes or gets tracked onto your carpet, just know, it's not impossible to get out. But, it may take a bit of elbow grease and prompt attention. Take a look at how to best get tar stains out of washable clothes, dry-clean-only clothes, and carpet and upholstery. No matter the material, the first step is the same for each of the three: before you use any detergents, chip away what you can. Just like any other solid that gets on your clothes, you get rid of the solid, then wash the fabric. In this case, you will want to allow the tar to cool and harden. If you are in a hurry, you can put an ice cube into a plastic bag, then place it on a stain to harden the tar. When the tar is hardened, start by using a dull kitchen knife or the edge of a credit card to scrape away as much of the solid tar pieces as possible. Once you have chipped away the solid pieces of tar, next, treat the oily and waxy component of the stain with an enzyme-based pretreater or stain removers like Shout or Zout. Work in the stain remover with a soft-bristled brush and allow it to work its way into the fabric for at least 15 minutes. After that, treat the stain with a bit of heavy-duty liquid detergent that contains enough stain removing enzymes to break apart the molecules (Tide and Persil are considered heavy-duty) or a paste made of powdered detergent and water. Scrub the stain lightly with a soft-bristled brush and rinse in hot water. Next, wash as usual in the hottest water temperature suitable for the fabric according to the garment's care label. If traces of the tar stain remain, mix a solution of oxygen-based bleach (OxiClean, Clorox 2, Country Save Bleach, or Purex 2 Color Safe Bleach are brand names) and cool water. Follow the package directions as to how much product per gallon of water. Completely submerge the garment and allow it to soak for at least eight hours. Check the stain. If it is gone, wash as usual. If it remains, mix a fresh solution and repeat. It may take several soakings to remove the stain but it should come out. Be patient. After you have tried to lift off as much of the solid tar as possible, go quickly to the dry cleaner. Point out and identify the stain to your professional cleaner. If you are using a home dry cleaning kit, scrape off the solid tar and be sure to treat the stain with the provided stain remover before putting the garment in the dryer bag. Home dry-cleaning kits are not highly effective at removing tough stains like tar. If a bit of tar ends up on the carpet in your car or is tracked into your home and lands on the carpet, lift away as much as possible. Next, use a commercial dry-cleaning solvent to treat the stain. Keep the space well ventilated. Dampen a clean white cloth or paper towel with the solution. Work from the outside edge of the stain toward the center (this helps prevent spreading the stain), sponge the stain with the cleaning solution. Continue blotting until it looks like no more tar-like substances are being transferred from the carpet to the cleaning cloth. When the stain is gone, dip a second clean white cloth in plain water and sponge the stain to remove any traces of the cleaning solution. If you do not do this step, the cleaning solution can actually attract more soil. The same steps can be used for all automotive and home upholstery coverings except silk or vintage fabrics. For silk and vintage fabrics, consult a professional cleaner or if you need more stain removal tips. For cushions, always use the least amount of solution as possible to prevent over wetting the fabric. Excessive moisture in cushion fillings can cause mold and mildew to grow.